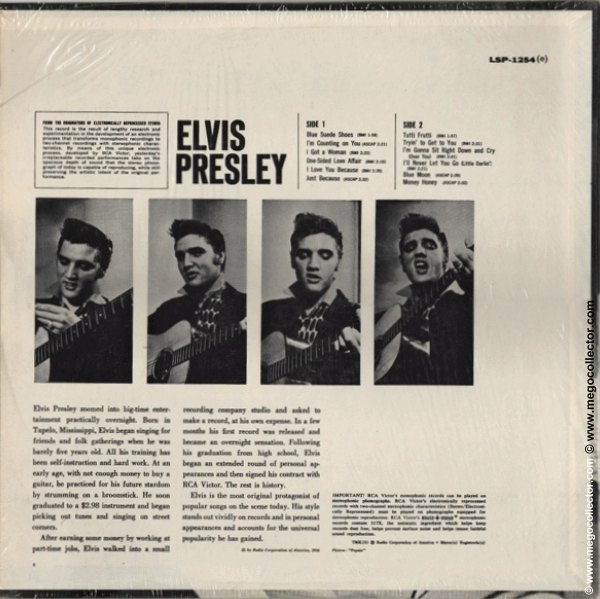 This is the stereo release of Elvis’ first album, LPM-1254, released in 1956. The stereo release issues began in 1962 and with six major release dates depicting the recent RCA changes in label variations. There are at least that many cover variations. Tack on whether or not a sticker exists, and which inner sleeve could have accompanied the disc, then there are many cover, inner sleeve, record, and sticker combinations. This guide is focused on identifying the variation as it exists, not possible combinations. 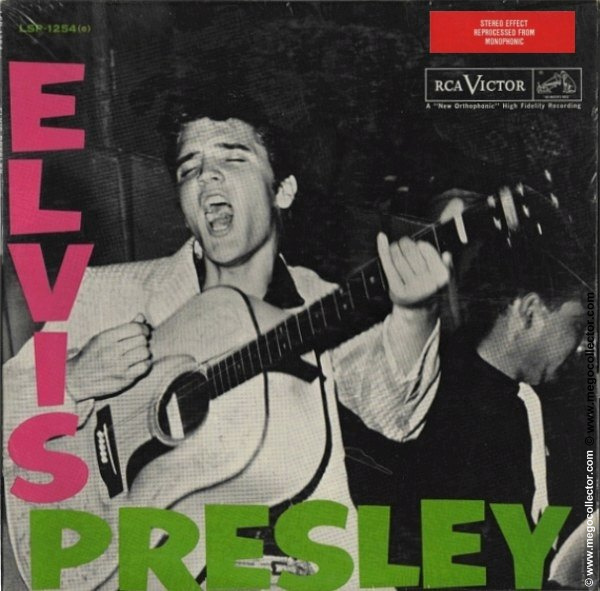 There is far more to Elvis collecting than originally thought. 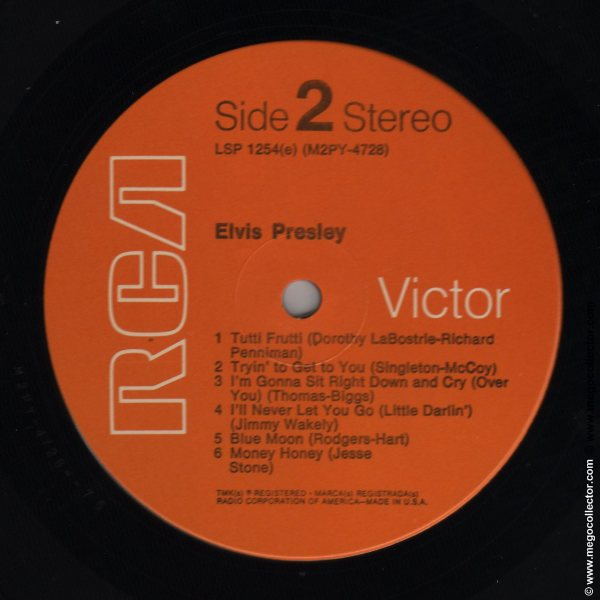 Front: RCA Victor logo with Stereo Electronically Reprocessed at upper right and number at upper left. 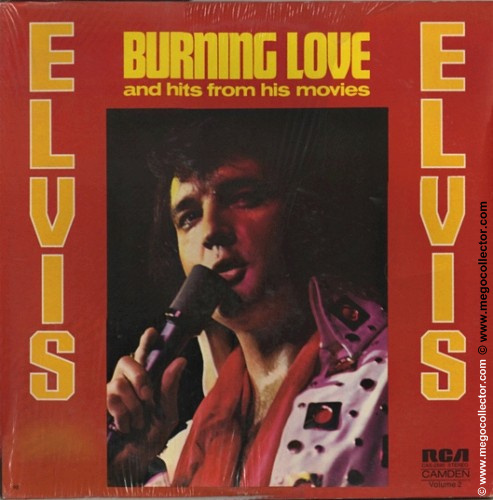 In 1968, covers may or may not have a red STEREO EFFECT REPROCESSED FROM MONOPHONIC sticker affixed to the cover or in rare cases to the shrink wrap. While the front cover did not change throughout the 1960s and early 1970s, the back had quite a few design changes. 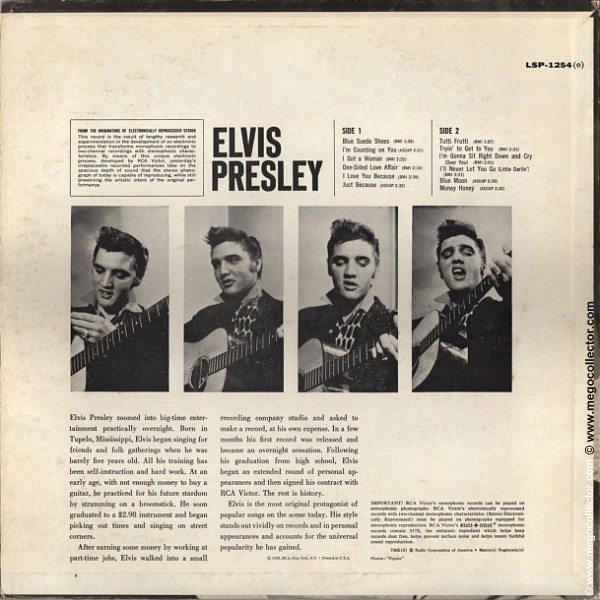 Back: Four black-and-white Elvis photos. 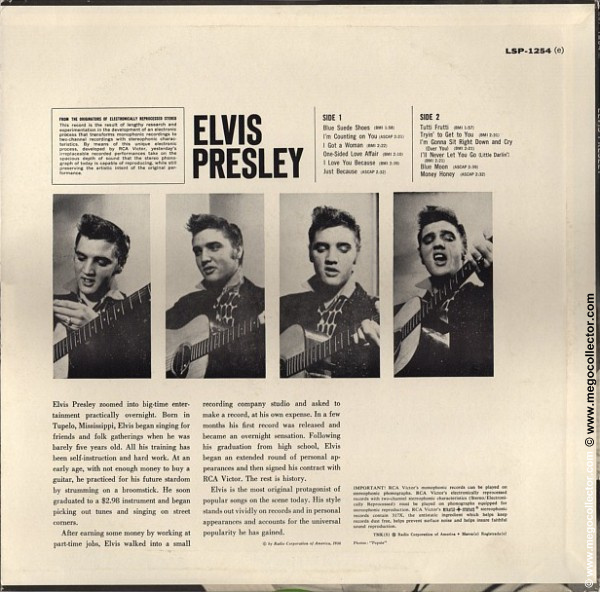 Has box of text at upper left From the Originators of Electronically Reprocessed Stereo, and box of text at lower right with an Important note about playing mono and stereo records, and Miracle Surface pitch. This description is true for the first no number (nn) release, the 2 and 4 release. The back was reworked for the SER 2 release where the upper left box is now top center. Stereo Effect Reprocessed form Monophonic is added to the upper right hand corner. These are closeup shots of the placement of the revision numbers on the back cover. Among the differences between the back covers are the copyright notices. Here is a chart of those notices and their differences. 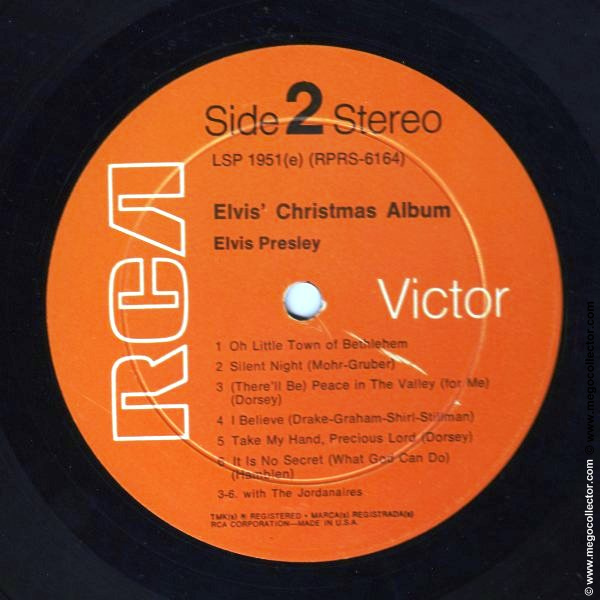 4 (c) 1956, RCA, New York, N.Y., · Printed in U.S.A.
ser 2 (c) 1956, RCA Records, New York, N.Y., · Printed in U.S.A.
1962 – Stereo. Black label, all print on label is silver. 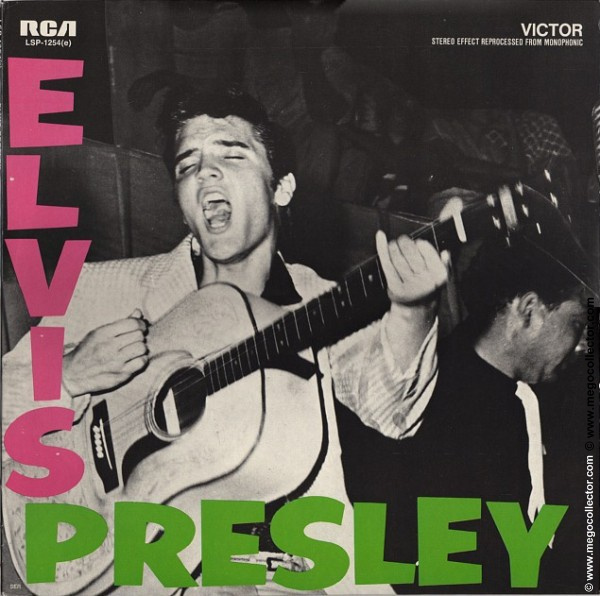 1964 – Black label, RCA logo is white, other label print is silver. 1968 – Orange label. Rigid vinyl. 1971 – Orange label. Flexible vinyl. 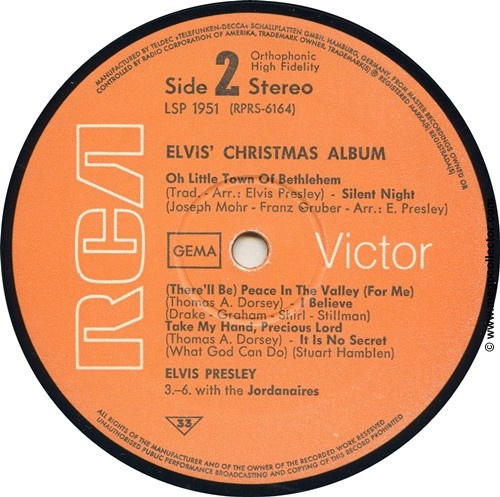 Although other sleeves may have accompanied each release throughout the years, here is a list of inner sleeves best associated with the original release. 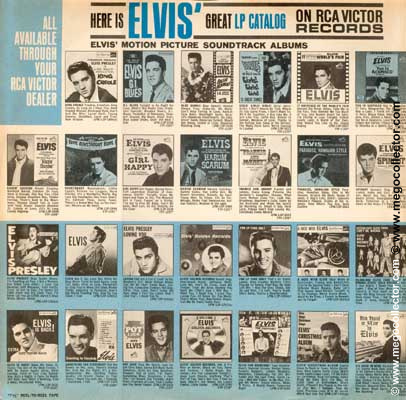 RCA didn’t start to number the Elvis inner sleeve until 1964. A separate article with images of the sleeves is available, here. nno – Stereo. Black label, all print on label is silver. 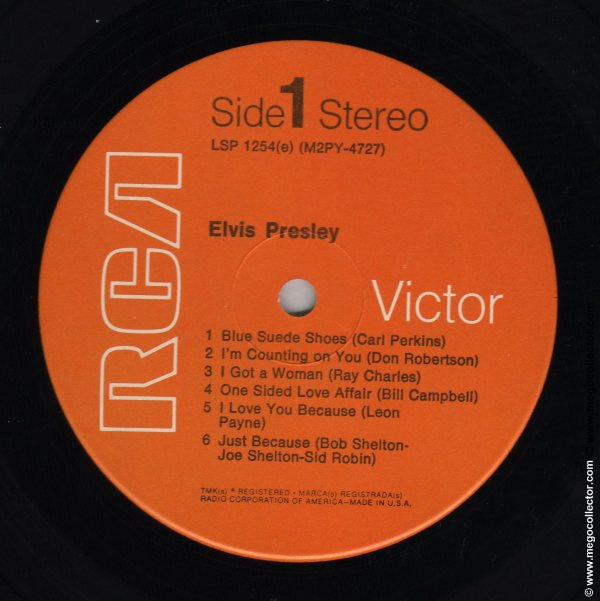 21-112-1 40A – Black label, RCA logo is white, other label print is silver. 21-112-1 40D – Orange label. Rigid vinyl. 21-112-1 pt 5xx – Orange label. Flexible vinyl. 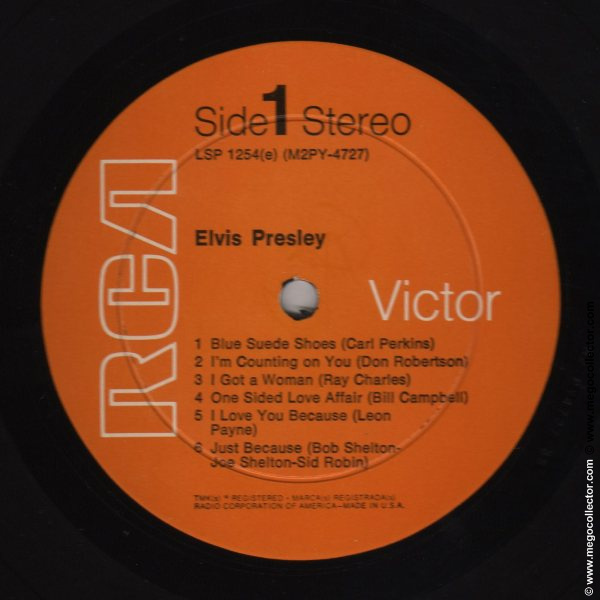 Front: RCA logo and catalog number at upper left with Stereo Effect Reprocessed form Monophonic at upper right. SER in lower left corner. 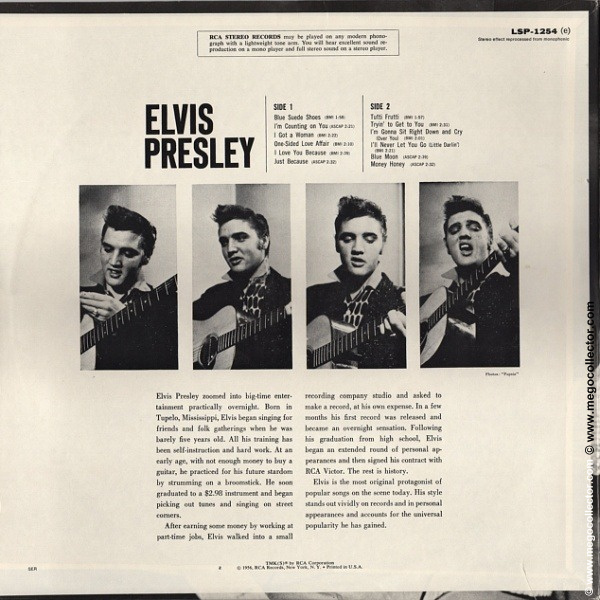 Back: Four black-and-white Elvis photos. A note about RCA Stero Records in box at top center. Stereo Effect Reprocessed form Monophonic in the upper right hand corner. 1977 – Black labl, dog near top. These releases may be accompanied by any number of different RCA sleeves.